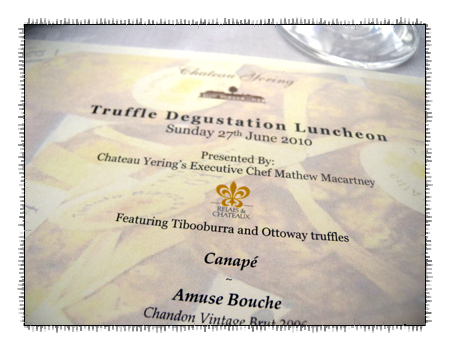 We've marshalled the truffle crew together and this time we've headed out to Chateau Yering for their annual Truffle degustation lunch. 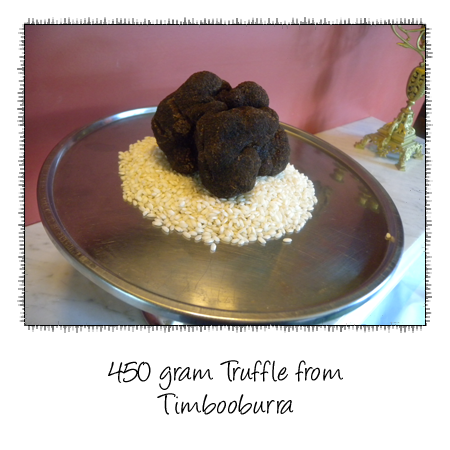 This year there's a change - the truffles have all been sourced from Victoria - from Tibooburra in the Yarra Valley and the Otways. 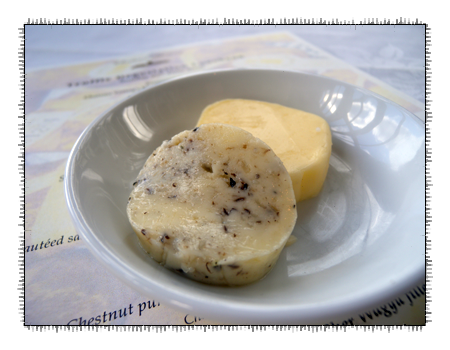 As soon as you enter the dining room you are welcomed by that beautiful truffle aroma coming from the truffle butter. And just to fill us with lust, on the fireplace stood this beautiful truffle - I think Elle's got a large enough handbag to stash that in without anyone noticing. 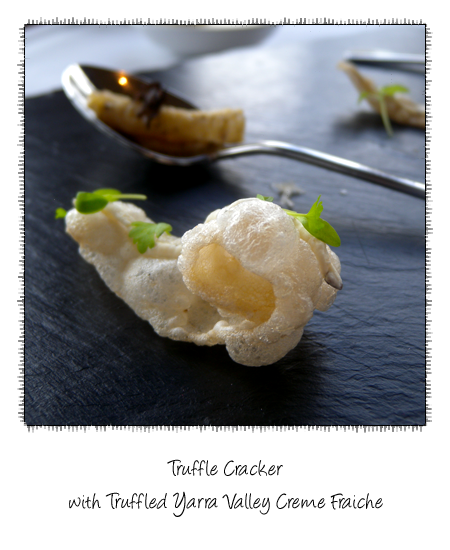 Two canapes presented on black slate - the cracker had the texture of prawn crackers - a line of truffled creme fraiche piped along the centre. 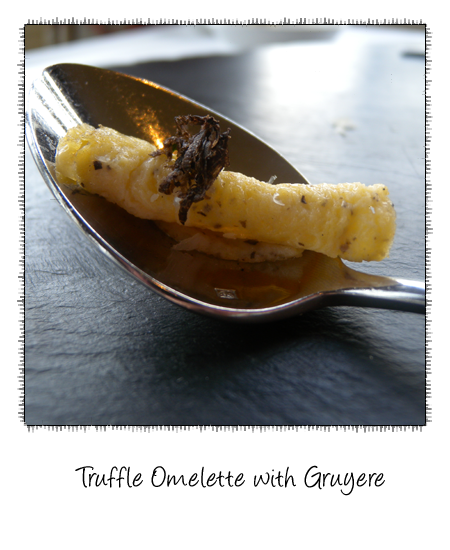 Egg cheese and truffle - a combination that always works. 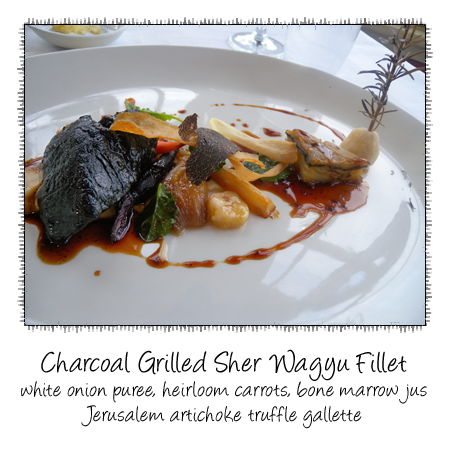 This is the type of dish that deserves to be looked at so you fully appreciate it. 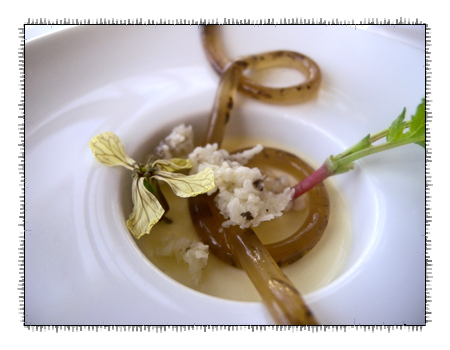 I loved the bite of that tiny breakfast radish, a sharp freshness to cut through that deliciously creamy panna cotta that was packed with parmesan flavour. 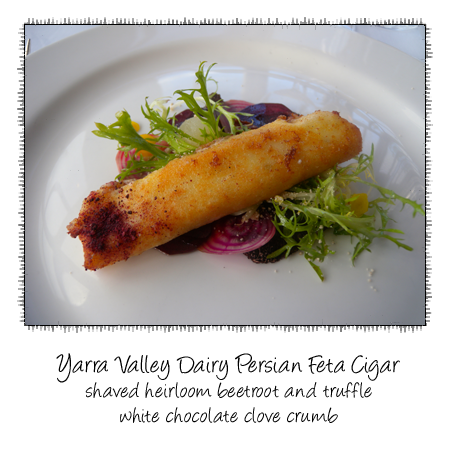 A good combination of clean, earthy flavours of beetroot and that crisp coated cigar of creamy persian fetta, bound with that lovely aroma of truffles. 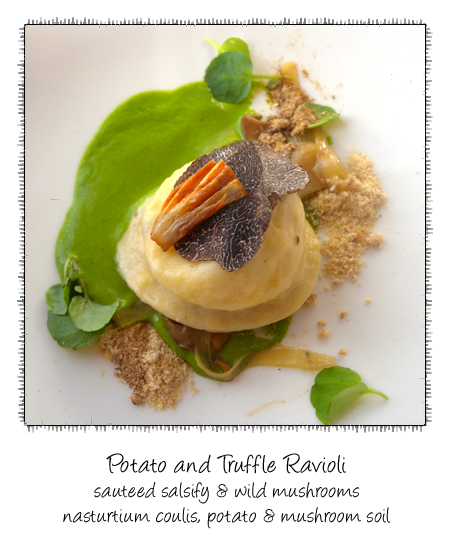 Quite an amazing ravioli - they were filled with a potato foam that just oozed as you cut into them. 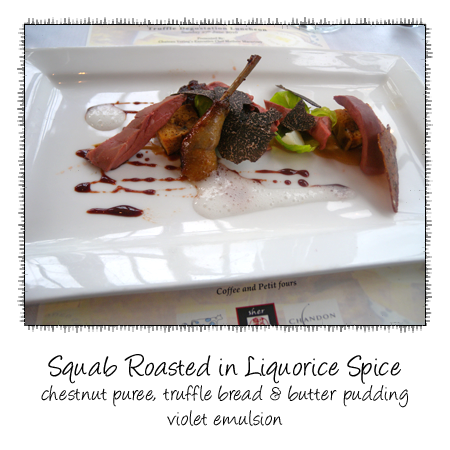 Perfectly cooked squab, still tender and juicy - you had the contrast of crisp skinned leg and barely cooked breast. There's a bit of a Mugaritz influence in the charcoal grilled wagyu - playfully painted black, inside it's still wonderfully rare. 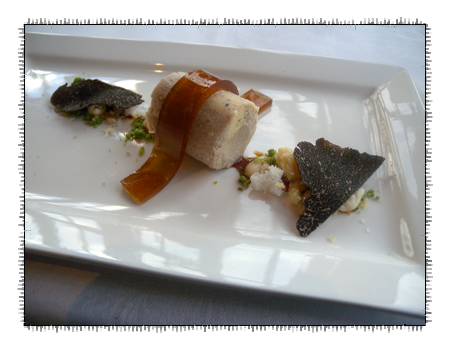 I always look forward to truffle desserts and this one really hit the spot. 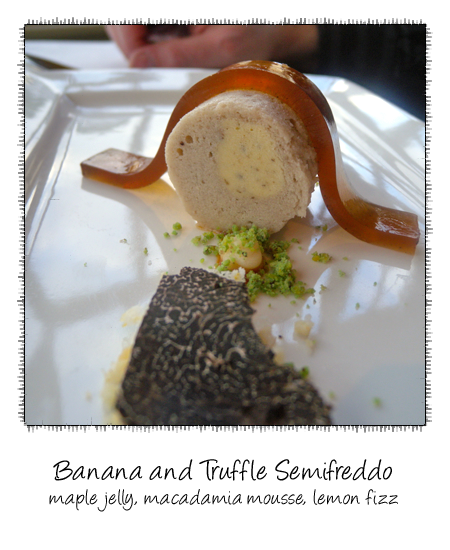 There's something to be said about just how well banana and truffle work together. Just a little something to finish. 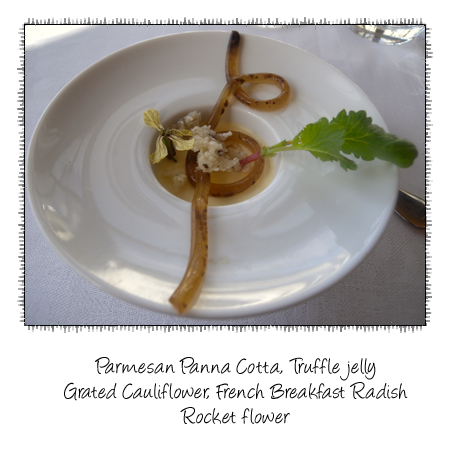 wow, this looks like one amazing meal. 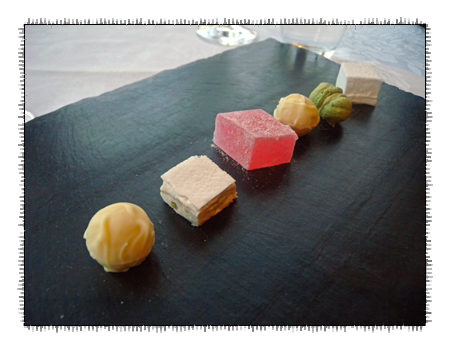 Had no idea chateau yering does this every year. Might have to keep an eye out for next year!